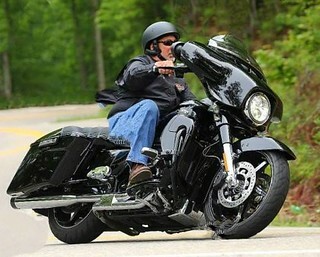 Traded in my 14' FatBoy for this new 19 CVO Street Glide in Black Forest. I've had two Softails before this one, so the Touring is a whole new experience and riding position! Looking forward to it, and checking out this site and learning a bunch. Welcome from York pa. Congrats on the new ride. Very nice color. Welcome from Loudoun County. Hopefully the weather will improve soon so you can start putting miles on the new ride.